ALLROUND tried-and-tested trench ling systems are successfully used in 18 European countries. Following the same high-quality, robust and easy-to-use principle as in the trench lining system, the ALLROUND GIGANT shaft assembly has been developed. The shaft assembly already proved its qualities in practical use and is compatible with the reliable GIGANT Slide Rail System. As with all the ALLROUND products, this development also had practical applicability combined with the highest possible compatibility. For example, all GIGANT sliding plates used in trench lining will fit into the new corner rails. 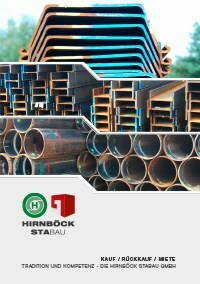 ALLROUND customers can therefore also use elements already in use in the trenching system for the shaft assembly. Only the angle rail – designed as a Double Sliding Rail – is required to be able to use an already existing Allround Gigant Double Sliding rail for installation as a shaft assembly. All other parts are fully compatible. The angle rail is extremely robust and comes without screws, nuts, rollers or other small parts, as it is well known with ALLROUND Trench Lining Systems. As a result, the maintenance costs are reduced to a minimum and the assembly of the shoring at the point of use is simple, easy and quick. Different plate lengths are available for all conventional shaft types. The system can be easily combined with the existing slide rail systems. The flexible use of the existing sliding plates helps to keep the cost of the new systems low. The customary robust design (reinforced frame, integrated in angle bar) and high quality workmanship (weld seams) have been retained, of course.